Bob haircut doesn’t always have to be one-colored, symmetrical or oh-so-sophisticated. 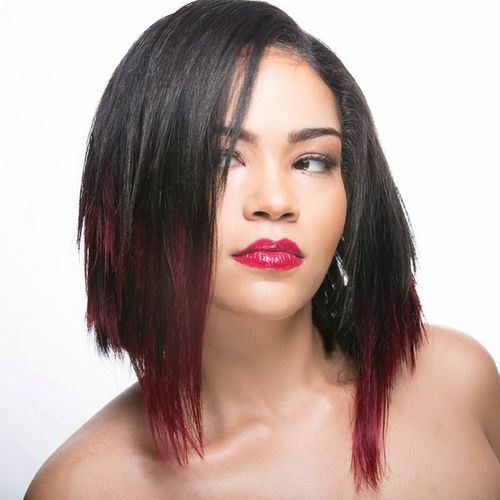 You can add your twists and twirls to the hair color and cut of your bob to make it look more exciting and funky. Black women have a huge advantage in this concern. They can color the hair however they like and their dark and warm skin tones always compliment it. 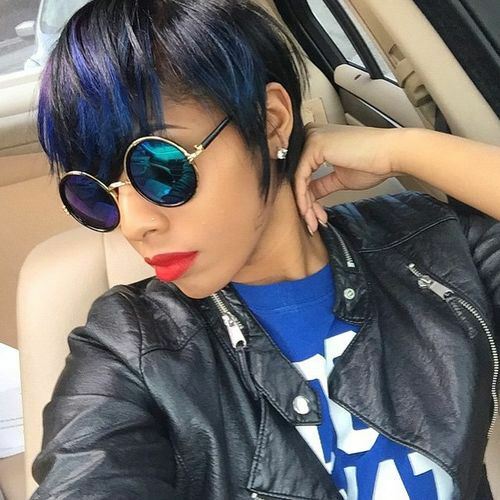 Listed are some of the most amazing looking bob haircuts for black women. Hue hair colors always compliment warm skin-tones. 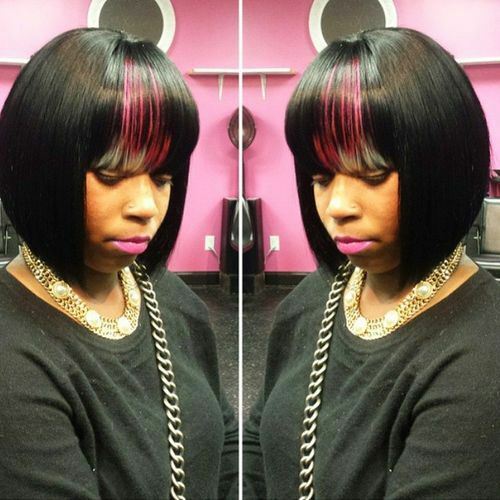 Bright and bold hue colored hair on a slightly A-lined bob gives away the impression of sexiness, depth and style. The side fringed bangs is like a cherry on the top for this hairstyle. This is an interesting choice for a dual colored haircut. The tips of the long bob are colored blonde and the roots are dark brown. 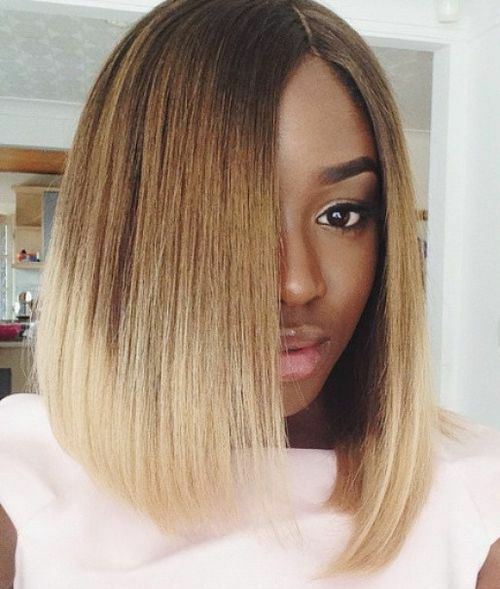 Dark brown and blond meet in the middle of the bob forming a beautiful bronde merger of both. Dead straight and sleek hair look gorgeous with these hair colors. Pixie bob haircuts have their way of making into some really fun and exciting hairstyles. You can color the pixie bob haircut with any of your favorite colors. 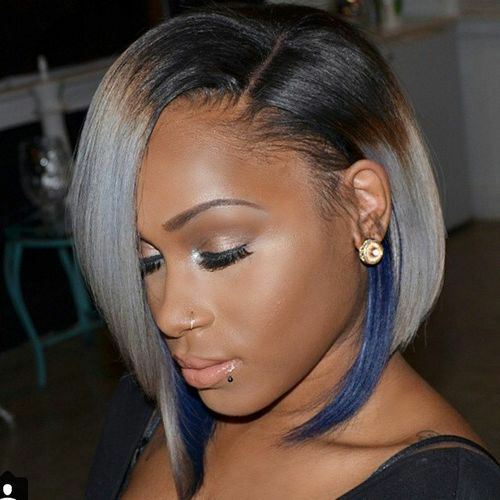 Black women can rock literally any hair color! Varying length bob is a truly bold and daring haircut. This, along with the double color shades on the roots and tips of the bob make it interesting and creative. 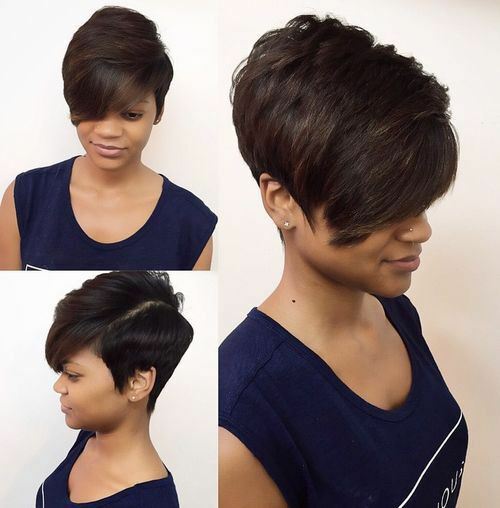 The merger of the pixie cut and the bob make a beautiful and attractive haircut. 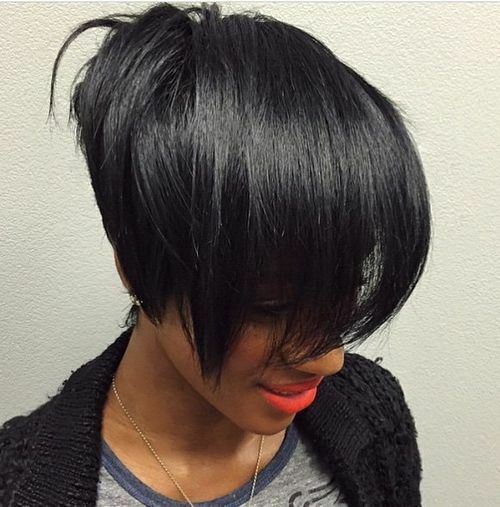 The pixie bob haircut on jet black hair truly compliments the dark skin tones. This is a medium length bob and it may sound like the typical uninteresting bob haircut. 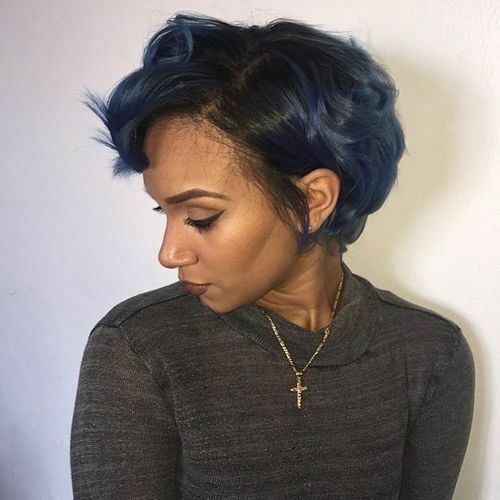 But what makes this haircut recreational and funky is the beautiful blue hair color. 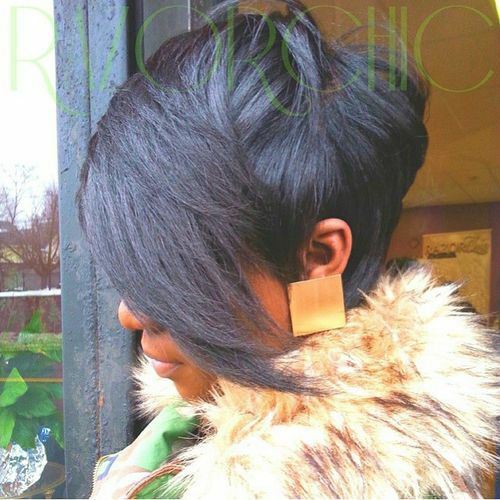 The pixie and bob are both truly amazing haircuts, how about merging them both in one gorgeous hairstyle? There are a billion ways to improvise the usual bob haircut and this just is one of the many! 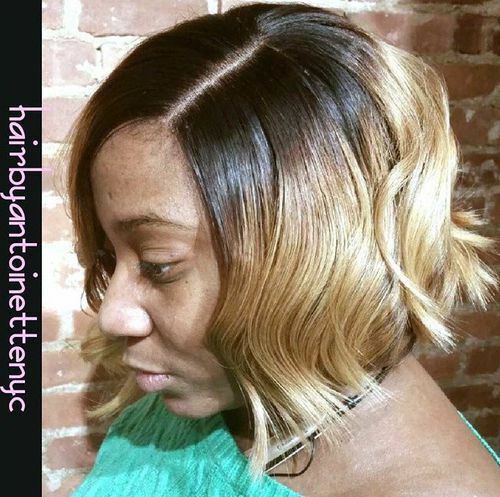 This is a wonderful way to make your straight bob look attractive and spunky. The grey colored deep dip dye with dark brown roots look stylish, fun and sassy. 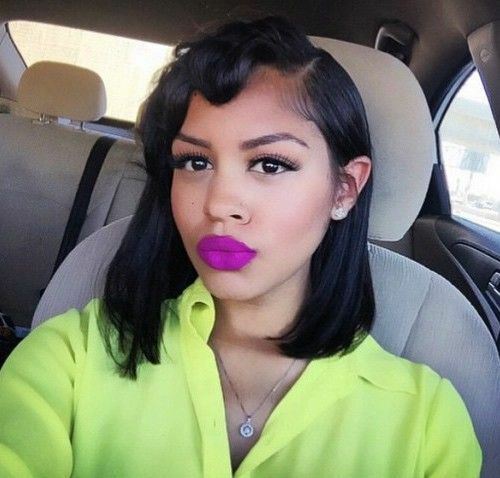 The best way to wear vibrant colors is to wear them on short bob haircuts. 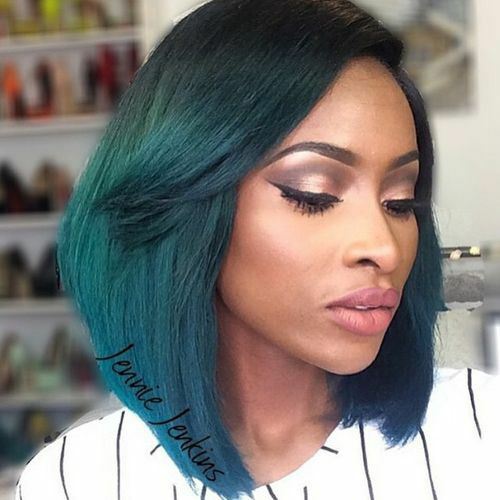 This one is a beautiful merger of blue and hue hair colors which make the short bob highly attractive and fashionable. How about trying some bold and gothic colors in a truly carefree and commitment free haircut? Wear your short pixie bob with straightened hair and color them with your favorite gothic hair colors! This is an ideal bob haircut but with a little bit of an exciting twist. The French bangs on the bob haircut are dyed in multiple colors! 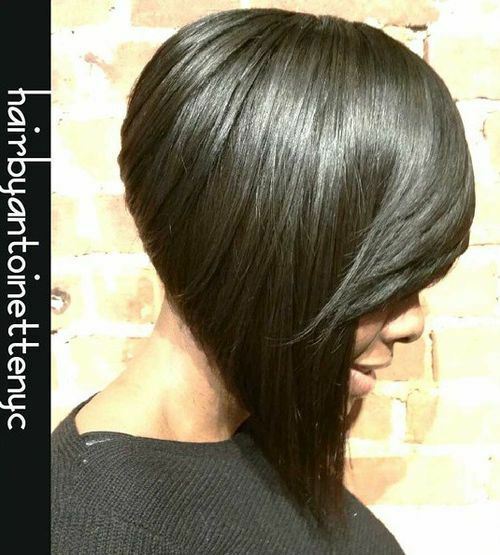 A-symmetrical bob haircuts are never out of the trend! 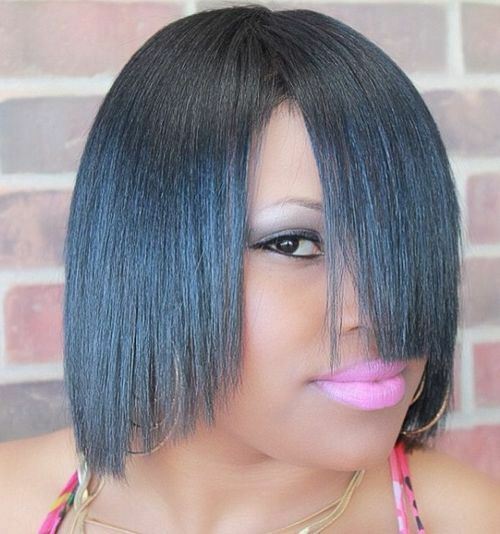 The A-line bob with a heavy side fringes look the best with dark colored hair like, black dark brown or blue. This is one of the most attractive hairstyles for black women. The wonderful blonde and dark brown color accents compliment the dark skin tones in the best ways possible. One of the most amazing ways to wear your bangs on a bob haircut is to wear them curled. The curled to the hairline bangs with a medium length bob haircut makes for an adorable vintage bob haircut as a whole. 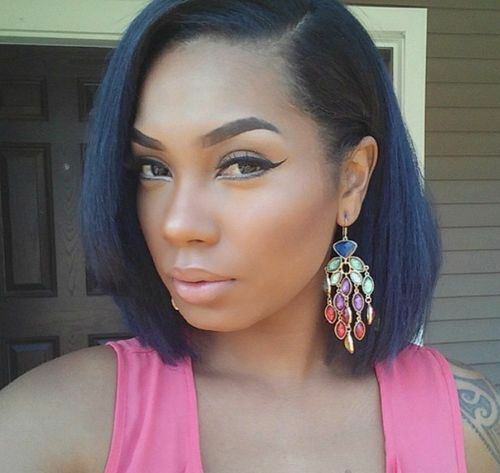 This is one of the best bob haircuts for black women especially made for straight hair. Cut your bob hair in a subtle U-shape and try a unique hair color for all of the hair. You can be as creative as you like while choosing the hair color. It can be Hue or Blue or a merger of both!